Watching the late afternoon news on WABC in New York when she was younger, Mariah Brown knew she wanted to be a journalist. The newscasters, with their camera-ready smiles, seemed to know what was happening in the world. And as newsrooms grew more diverse, reporters and anchors started to look like her, too. 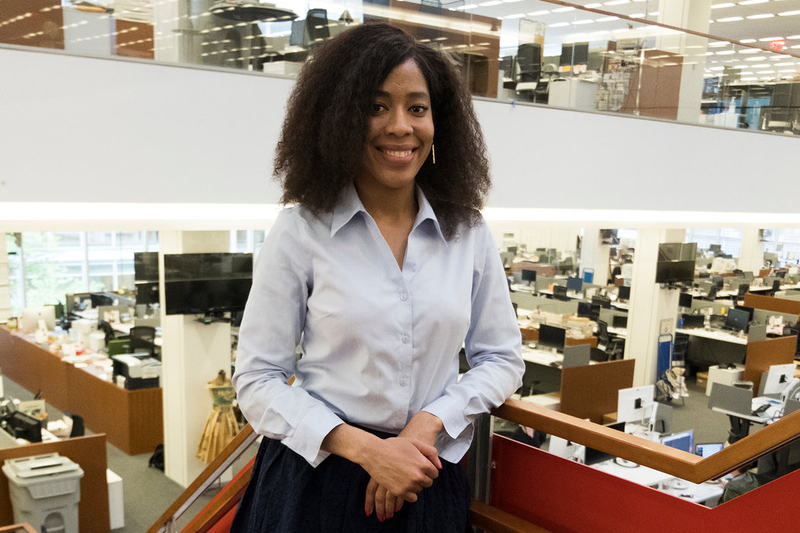 “I just really had an interest in a career where I could learn and tell stories and connect with people like these journalists connected with me,” said Mariah, a 24-year-old reporter and member of the National Association of Black Journalists. She received a bachelor’s degree in journalism and history from the State University of New York at New Paltz in 2015, but decided to go to graduate school to take her skills to another level. Mariah focused on business and economic reporting at the CUNY Graduate School of Journalism, where she received her master’s degree in 2017. She said that while she covered topics like entertainment and health care during her undergraduate career, she had never spent time learning about the stock market or finance. Mariah is currently a beat reporter for Pageant Media, which produces business trade publications, covering operations and technology in the business world. While she enjoys writing, Mariah hopes to to add podcasting to her skills. “The digital space is allowing you to create stories that come to life not just through words,” she said.